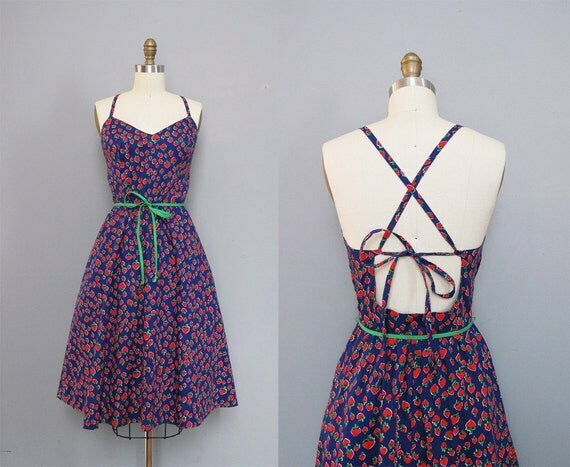 So, I have been on the hunt for a cute strawberry print dress for ages now. And I FINALLY (horns sound! cymbals bang! amanda claps!) found one (from this cute little etsy shop)! Cayla was kind enough to snap a few photos after a wonderful brunch we had Saturday morning. I thought I would share some of the OTHER cute strawberry items that have tickled my fancy this week. 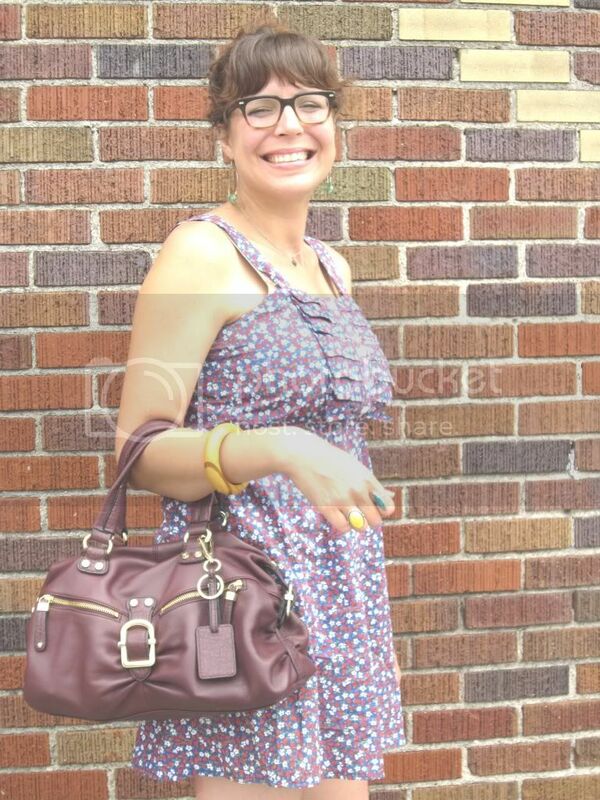 Here's the cutie, Meanz Chan, wearing, of course, a darling strawberry print dress. From Secretlake on Etsy // Why am I not a size SMALL?! 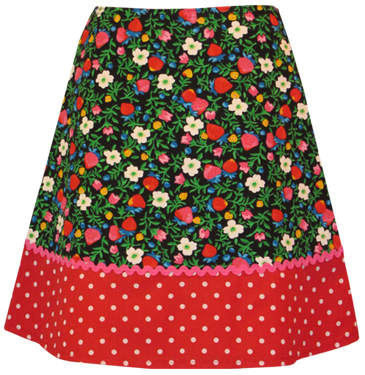 Love this skirt from Unforgiven Vintage! Have a berry beautiful day! What an adorable dress! I'm glad you found one! 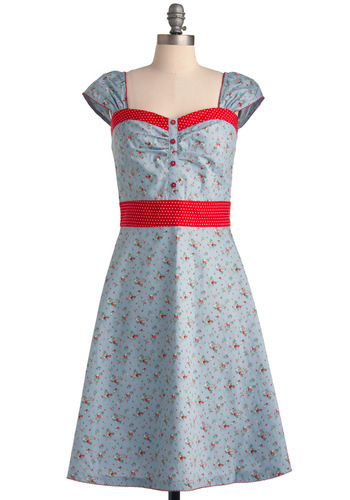 I'm drooling over that ModCloth one I have to say too though. And I love your new bag, awesome find at Rewind! Thanks, Beth! Rewind in South is my favorite! I always (always!) find something! :) And the gals there are the sweetest! Well thank you, Ms. Morby. I think you're quite the stunner yourself. Aaaaaaahhhhh, you look ADORABLE!! I love that dress and those boots together! Super cute!! I love your strawberry dress, SO cute! I also love all the other strawberry things! 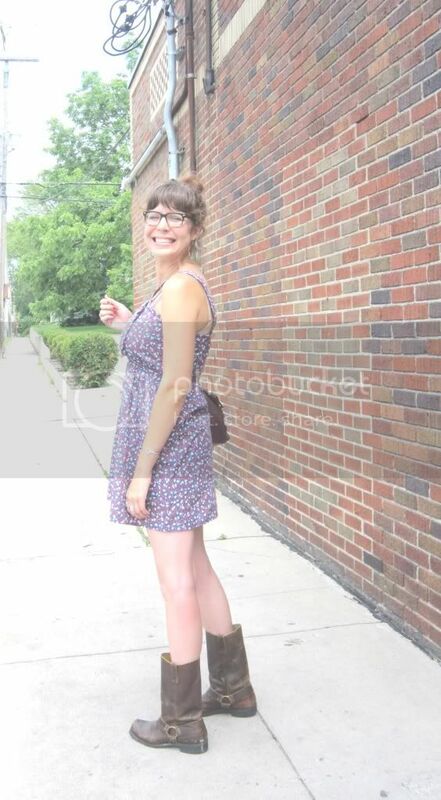 That dress is really cute, and it looks perfect for the hot weather we're having. This is exactly the kind of outfit I want to wear every day. 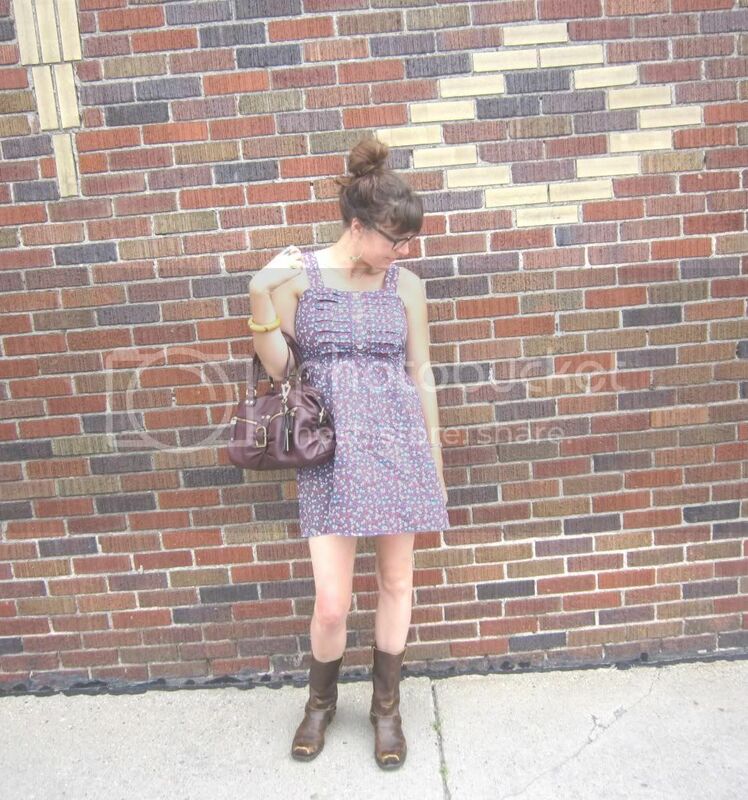 Clunky boots and dainty dresses. Bonus points for the fruit print! You look adorable. Love the dress! 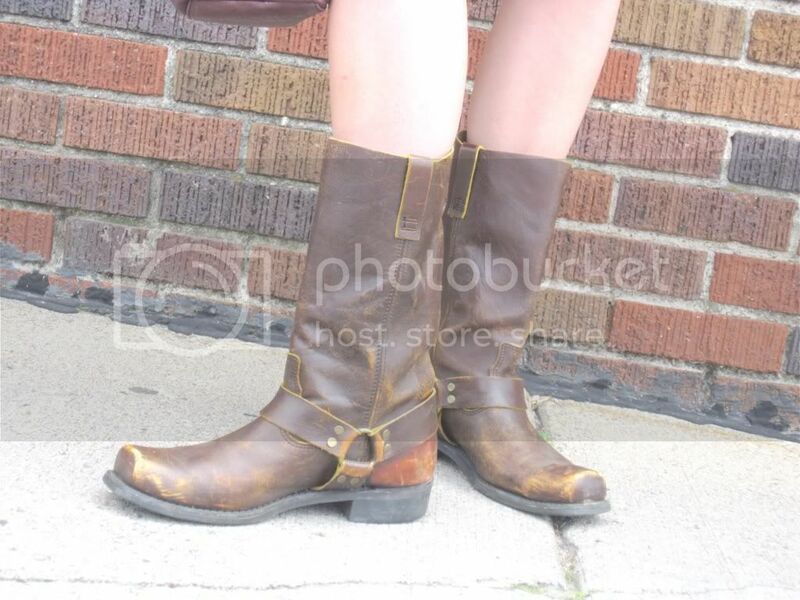 And those vintage Frye boots are killer! Amazing find. What a cute outfit! I really like how you've paired the boots with the strawberry print dress. It's great to see so many vintage pieces! That strawberry dress is adorable! 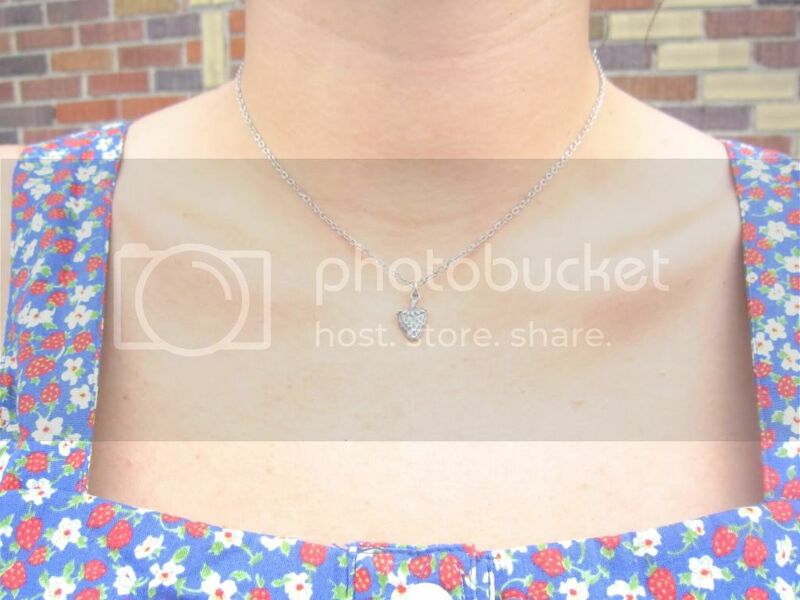 I love the strawberry necklace too. You look super cute in this outfit. It looks great with boots! Love your boots and that yellow ring!!! Your rings are gorgeous ! Love your outfit too ! Those distressed boots are just too lovely! Great post! 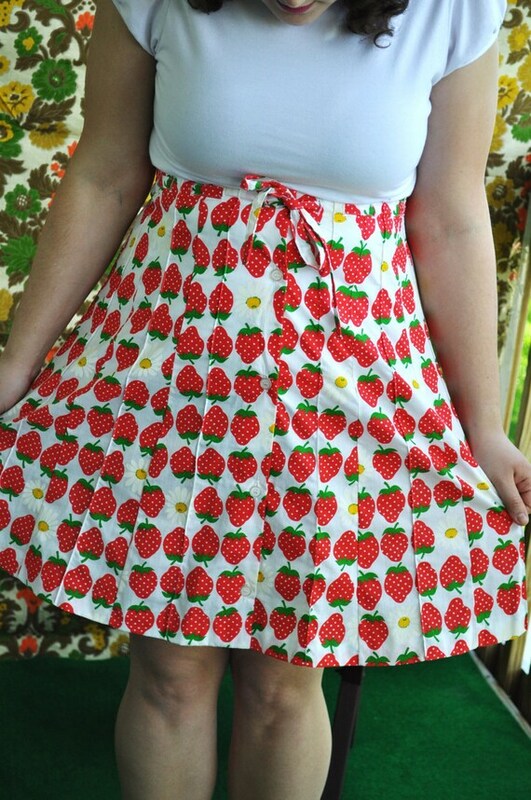 strawberry dresses so cute, glad you finally found yours! !